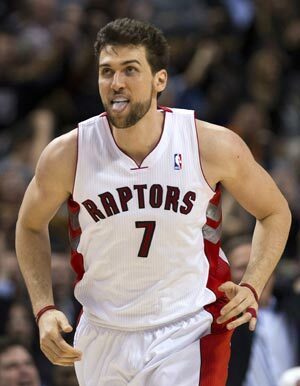 Andrea Bargnani scored 26 points to lead Toronto to a win that ended a run of nine straight defeats by Denver. Jose Calderon had 10 points and 10 assists for the Raptors. Ty Lawson had 26 points and nine assists for Denver.